Get one iPhone X for the price of two? The iPhone X is inbound, with pre-orders having finally gone live. But, anyone who didn't order quickly may be on the tail end of a decent wait for the iPhone X supply to meet the demand, unless they turn to eBay. 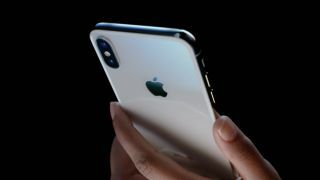 As with many supply shortages of popular items, online re-sellers are offering the iPhone X for sale, but they're also showing what high demand and low supply does to price. On eBay, the iPhone X can easily be found for over $1,999, with that price applied even to the 64GB model. For reference, the base 64GB iPhone X has a retail price of $999. Some sellers offer a "Buy It Now" option for the phone, and these range in price from one iPhone X listing for $1,380 on the lower end to $3,499 for a 256GB iPhone X on the higher end. Offers for the iPhone X vary in storage size, color, a network compatibility, but they're invariably marked up. The trending price eBay notes it $1,699, but taking the average of the "Buy It Now" prices for 39 iPhone X listings on the first page of eBay search results, we found an average price of $2,070. Patient shoppers can still put in orders for the iPhone X at Apple's site. But there's not much hope turning elsewhere. Amazon's iPhone X listings are equally abysmal to eBay's. The iPhone 8 and 8 Plus are going to be a lot easier to find for their proper retail price right about now.